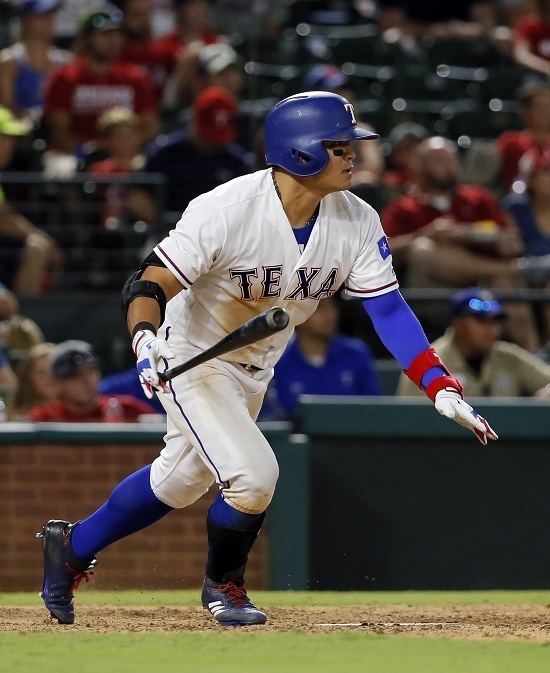 Choo Shin-soo collected 3 hits and Joey Gallo homered twice, but the Texas Rangers still fell to the Seattle Mariners on Tuesday night. The loss was the Rangers’ fourth straight. Choo batted in his customary leadoff spot, but was given the day off from playing the field, slotting in at designated hitter. Choo singled in his first two at-bats in the 1st and 3rd innings, but was left stranded both times. He flew out to open the 5th, and then singled again in the 8th before being lifted for pinch runner Delino DeShields Jr.
Choo raised his batting average to .255 with his 3-for-4 performance. It was Choo’s 23rd game of the season with two or more hits, and the 5th time he had collected 3 in a single game. Joey Gallo drove in 4 of the Rangers 7 runs with his two home runs, including a towering shot to dead center in the 4th inning that cleared the batter’s eye behind the outfield wall. Despite trailing 5-0 in the 4th, the Rangers made a late comeback before ultimately falling short 8-7. The two teams will complete the final game of their three game set Wednesday night.